Take the hassle out of outdoor activities! Bring the company’s next adventure indoors. Enjoy our safe, clean and climate controlled indoor arena. Searching for an exciting and new Minnesota team building opportunity? Tired of the same old company activity? 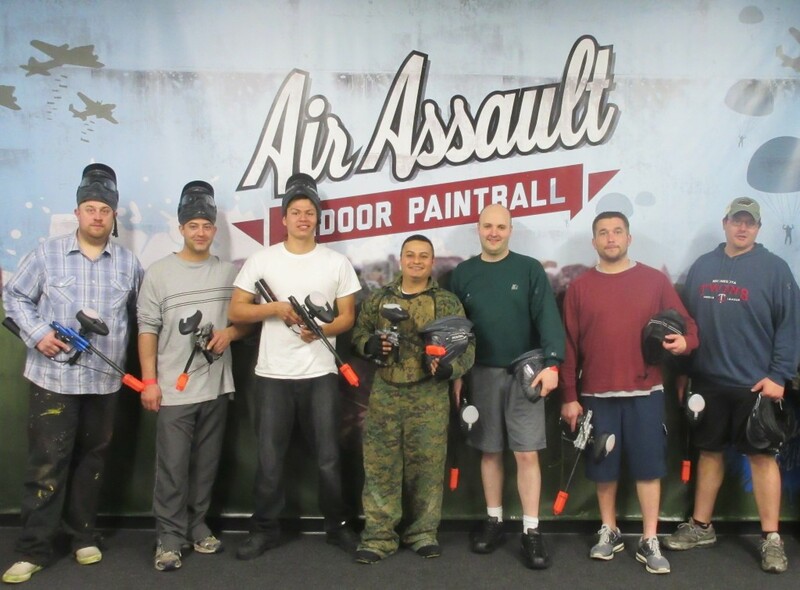 Bring your employees to Air Assault Paintball for corporate events! Playing paintball is a great way to enhance team-building skills among co-workers. Indoor paintball is perfect for all ages and allows all players to be competitive regardless of their particular athletic ability. Paintball games help improve the ability to think on the go and make quick decisions. Groups quickly learn the importance of communication, problem solving, and decision making as a team. 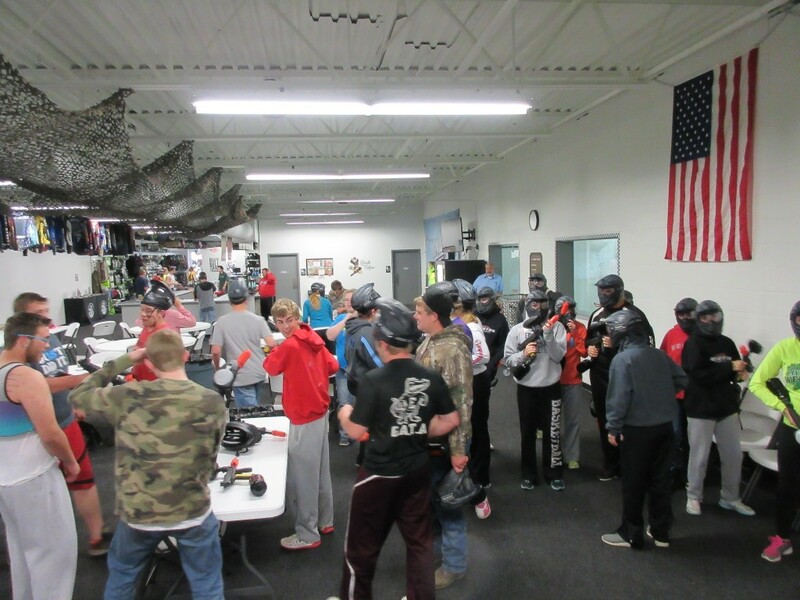 Air Assault Paintball in St. Paul, MN can accommodate groups of 100+ players! If groups have employees that wish to watch may watch the paintball games being played from our spectator area or our viewing windows. Companies may bring food, snacks, drinks or cater. All of the rental equipment is provided to ensure a fun and safe experience for everyone. Extra protective gear is available for rent upon request. Players may choose to upgrade their experience with combat jumpsuits, vests, gloves and more! Want to play paintball but are worried about the sting? 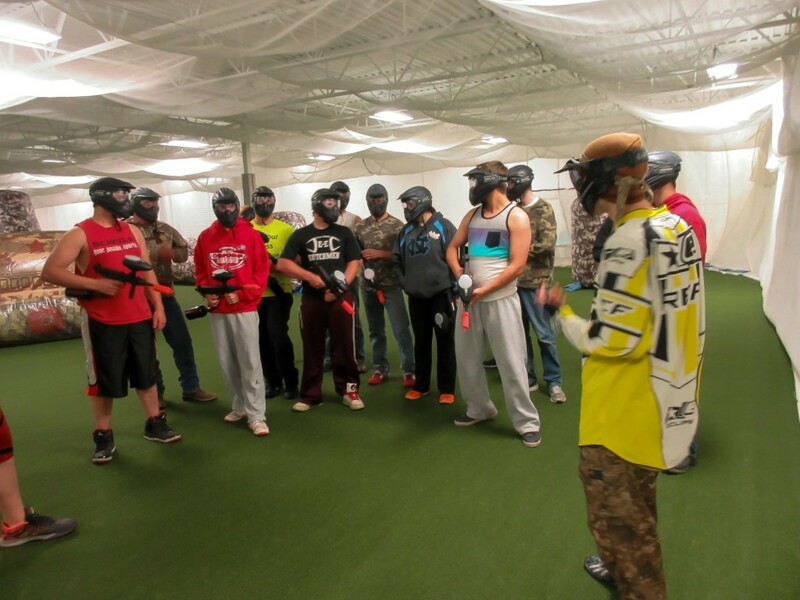 Low impact corporate paintball is perfect for your group! Air Assault is one of two paintball facilities in Minnesota that offer true low impact paintball guns. Low impact guns are lighter, safer and more fun! The paintballs are smaller, lighter and more fragile. These paintballs ensure less sting on impact and feel like a rubber band snap. Air Assault has been running world class tournaments since 2004. Our knowledgeable staff is capable of running organized company and or corporate tournaments! Ask us today about scheduling a company tournament to create more buzz about your next outing! Is there a group minimum? There is no group size minimum. Group sizes range from 2 to 100 players. Does getting hit with paintballs hurt? Paintball does sting but low impact paintballs feel like a rubber band snap. Can our party bring food or drinks? Companies may bring or cater food and drinks as long as the beverages are non-alcoholic. Can we watch people play? Employees may watch from our spectator areas or viewing windows. We suggest long sleeve shirts, long pants, and tennis shoes. Does the paint wash out? Our paintballs are stain-resistant and was out of clothing. How long does a paintball party last? Typically outings last about 90 mins but there is no time limit. Groups may play paintball until they run out of paintballs! Book a team building event! Please call us at 651-222-0300 if you have any questions or to make a reservation!